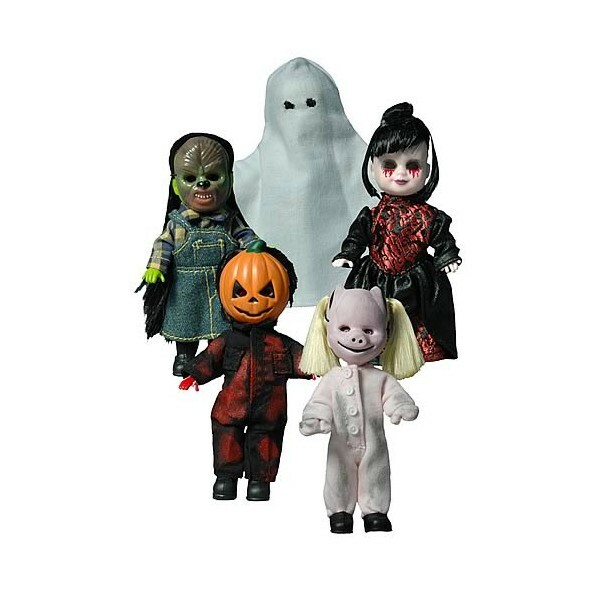 Living Dead Dolls Series 16 features a Halloween theme: Eleanor, Pumpkin, Mishka, Squeak and Isabel each wear a creepy mask and come with a their own jack-o-lantern. 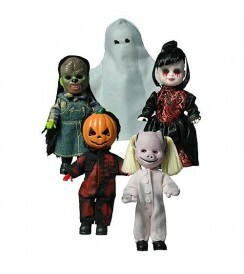 A Halloween mask usually hides the sweet face of an innocent trick-or-treator, but the world of the Living Dead Dolls, things are seldom what one expects. You may offer treats, but they'll give you nothing but tricks.